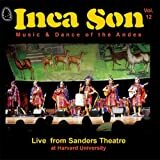 Save on Andes at Public Sounds. Top brands include Rumi, Inca Son, , & Cooking Vinyl. Hurry! Limited time offers. Offers valid only while supplies last. Trudy Andes "World Tour Live"